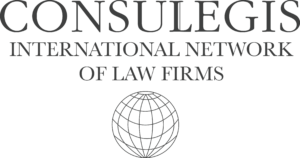 The International Lawyers Network (ILN) is an association of 91 law firms and lawyers committed to high-quality full-service, with 5,000 lawyers worldwide. This association offers its members’ clients easy access to legal services provided by lawyers in 67 countries across five continents. CONSULEGIS is an international association of independent law firms, in-house lawyers and professional legal advisers. The association is active in 45 countries and 150 cities on five continents. AEA is an international network of law firms across the world. Our association covers 193 countries belonging to the United Nations plus Taiwan, Kosovo and Palestine. In an increasingly globalized world, the goal of the association is to offer our clients a truly global service.